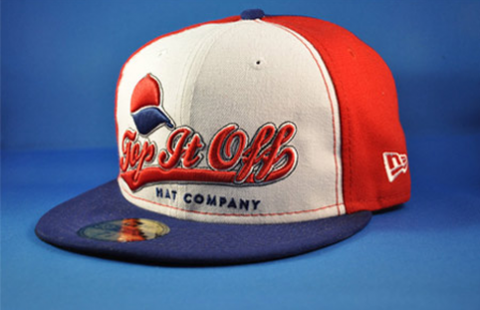 Top it Off Hat Company along with Bo Jackson’s Elite Sports is a proud provider of New Era baseball caps. We have a complete line of Major League Baseball team caps and we specialize in providing teams and organizations with custom, fully-decorated hats to fit your team’s designs. “Fly your own flag” and WEAR WHAT THE PROS WEAR….put your team in authentic MLB hats today! Since 1920, New Era has been the world’s premier headwear company. Their products transcend time, culture, sport and fashion and allow you to fully express your personality and your style. New Era reputation is built upon the foundation of a true icon: the 59FIFTY fitted cap. The 59FIFTY is the absolute leader in fit, fashion and function, and beyond just being the benchmark by which all other caps must measure themselves, it serves as a mirror for the values, beliefs and styles of those who wear it. New Era’s made to order team program offers six cap styles, dozens of cap colors and a massive library of embroidery designs.